Budapest is a true European gem with a casual, hip vibe. Despite a turbulent past, reflected in the city’s culture, food, politics, and architecture, Budapest shines through the grit and will dazzle you with its stunning sights and squares near and along the banks of the Danube River and up along its hilly slopes. If you’re traveling through Central and Eastern Europe, make time to visit Budapest! 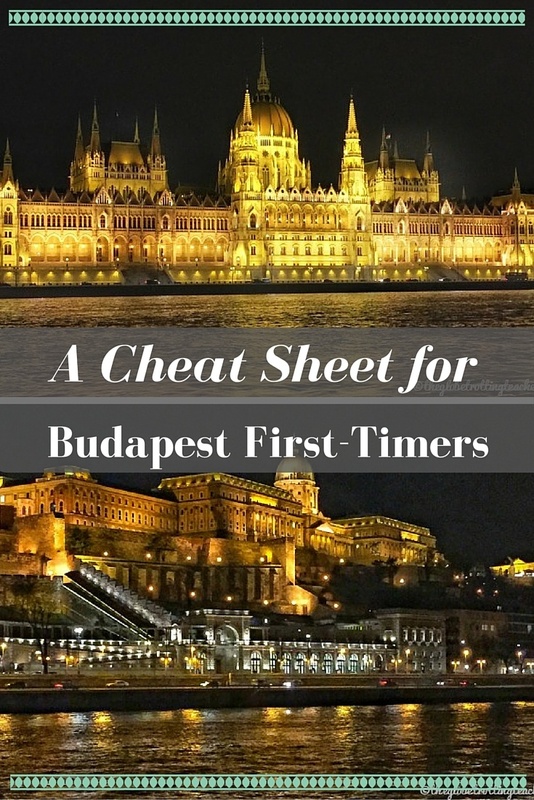 Spending 2-3 days in Budapest will give you enough time to see and do first-timer musts. It’s likely, though, after spending time in this still somewhat off-the-beaten-path city, you’ll be thinking about your next visit to Budapest. 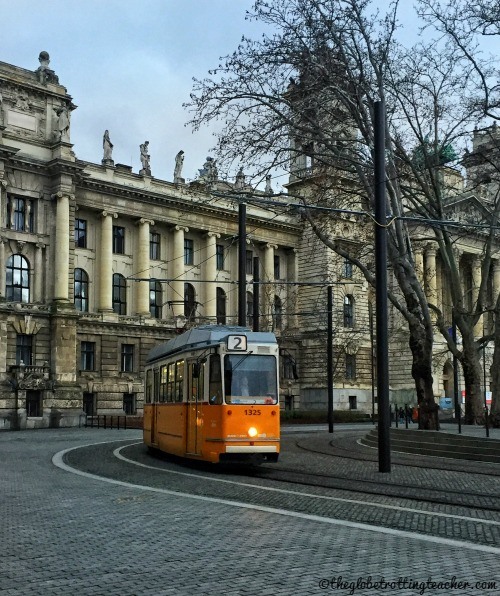 Start off by riding the #2 tram along the Danube to get a sense of how the former cities of Buda and Pest are situated. Tickets are easily purchased in a metro station. The ride will give you a glimpse of Budapest’s major sights. 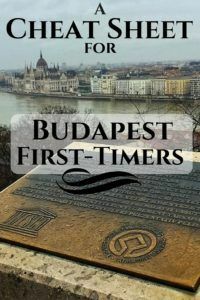 If you prefer a guided tour, check out Budapest Free Walking Tours. They offer daily tours at 10:30 a.m. and 2:30 p.m that depart from the lion fountain in Vorosmarty Square. Tours range from the typical tourist sights to the history of the Jewish population to communism in Budapest. There’s no need to book ahead of time and no obligation to stay for the entire tour. If you’re happy with your guide, make sure to tip them what you can at the end of the tour. After this introduction to the city, walk or take the funicular up to Castle Hill. The funicular is on the Buda side, on the other side of the famous Chain Bridge. Once at the top, you’ll be rewarded with sweeping panoramic views of the city and the Danube. 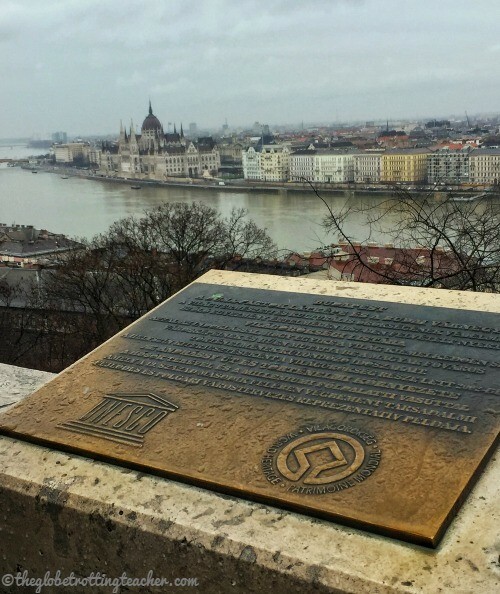 Buda Palace and the banks of the Danube are UNESCO World Heritage sights. On Castle Hill, spend the morning or afternoon visiting the Royal Palace, Mathias Church, and Fisherman’s Bastion. If you arrive on the hour between 8:30 and 5:00 pm, you’ll see the Hungarian Changing of the Guard at the castle. Budapest’s grand Parliament Building is another popular sight. You can opt to see it just from the outside or take a guided tour of the inside. (You cannot get in without being part of a tour.) The tour and its setup logistics take about 60-90 minutes. You can buy tickets online here or in-person at the Visitor’s Center below the Parliament building itself. Either way, you’ll be able to select your tour time in your preferred language. 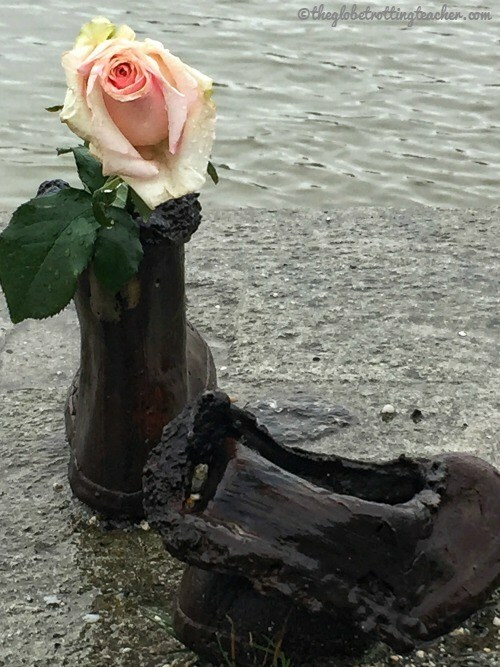 Along the river, near Parliament, a simple but impactful bronze shoe exhibit stands as a memorial remembering Jewish people who were killed less than a day before the Soviets came to “liberate” the city. Residents were told to take off their shoes and place their valuables inside of them. Then, they were shot execution style along the river so their bodies would be swept off in the current. A simple, yet powerful memorial…It’s possible to imagine the last things these poor people saw before being murdered. Budapest is also famous for its thermal baths. 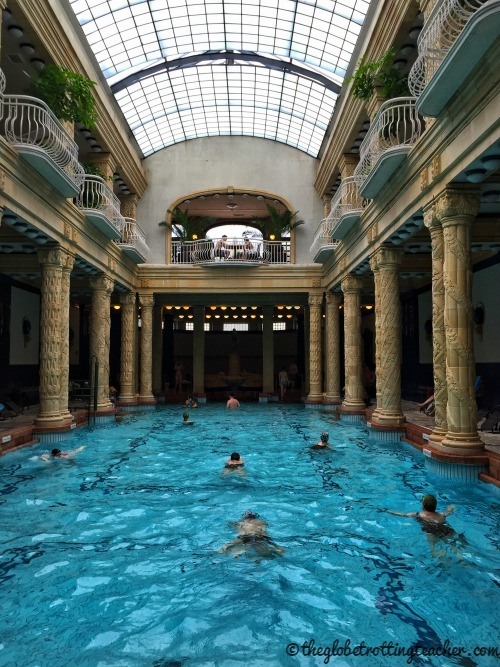 Gellert Spa and Bath and Széchenyi Thermal Bath are the two most popular. With a ticket, you’ll have access to the baths and can also arrange spa treatments like a massage. 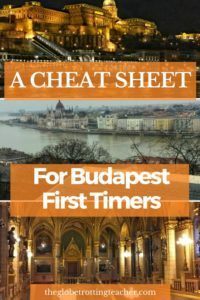 If you’re planning a visit to Budapest in summer, avoid the crowds and plan ahead. 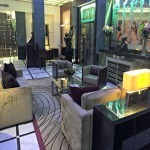 I had a comfortable stay and fantastic service at the Radisson Blu Beke. Research and book more great Budapest hotels on TripAdvisor or Booking.com. Visit St. Stephen’s Basilica and Dohany Utca Synagogue for a look at Budapest’s prominent religious structures. The architecture is unusual and the history, particularly of Budapest’s Jewish residents, is fascinating. Walk along Andrassy Avenue to see architecture that has been renovated and refreshed, as well as mansions that are crumbling. The opera house is also along this avenue and guided tours are also possible. 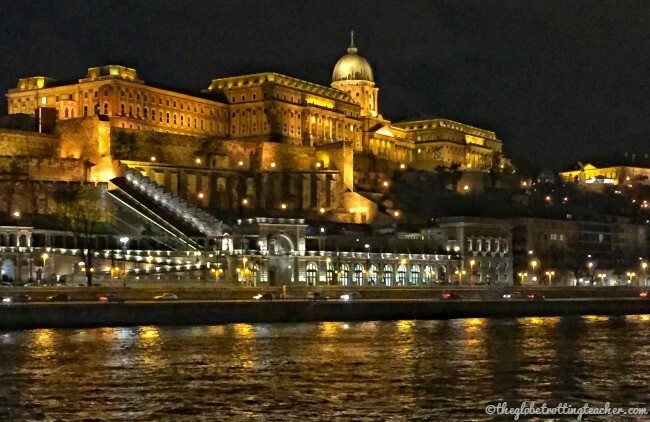 After dark, be sure to see Budapest’s city lights from the water. There are numerous boat tours operating from piers along the Pest side of the Danube. You can arrange to take a sightseeing tour to loop past Budapest’s main sights and under its bridges or opt for a lengthier dinner cruise. You won’t be able to take your eyes off Parliament as it sparkles against the night sky. No matter which tour you choose, have your camera ready! Budapest absolutely sparkles at night! Have a Hungarian Beer at a Ruins Bar, like the touristy but, still, fun Szimpla Kert where different music plays in each room and the decor is fashioned with old computers, a car, and other odd salvage bits. Budapest’s main train station is Keleti. Trains from Vienna are 2 1/2 hours while trains from Prague are just under 7 hours long. 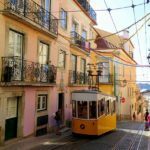 Use the super helpful site Seat 61 to research your train options, as well as for links leading you to the country-specific site to purchase train tickets directly, rather than using a more expensive third-party site. I’d read a few reports about Keleti Train Station’s sketchiness, particularly because of pickpockets. I’ve been through this station twice, once as a solo female traveler, and never felt unsafe. To be sure we got a fair price on a taxi, I arranged a pick-up through the hotel. Expect for a taxi to cost between 2400-2700 HUF, or Hungarian Forints. If you’re arriving by plane, plan to take a taxi or arrange a private car pick-up. 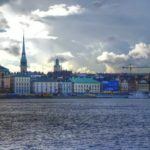 Unfortunately, there isn’t a seamless way via public transportation to easily get from the airport to the city center. By car, the ride should take about 30-40 minutes and cost around 8000 HUF. Always be sure your taxi driver has the meter on or you agree on a price before getting in. Visit the Great Market Hall and walk through aisle after aisle of the finest meats, bread, and produce. Head to the upper level to order a Langos and other Hungarian specialties, like Goulash. The market is as much a sight to see, as it is the locals’ place to shop for food. 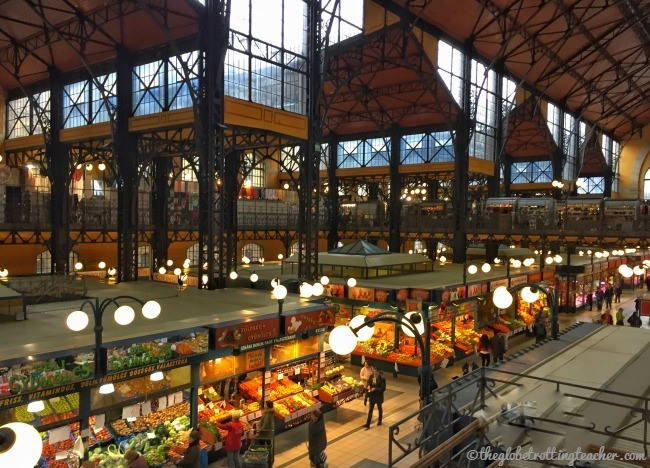 Stroll through the market and sample some local Hungarian treats. 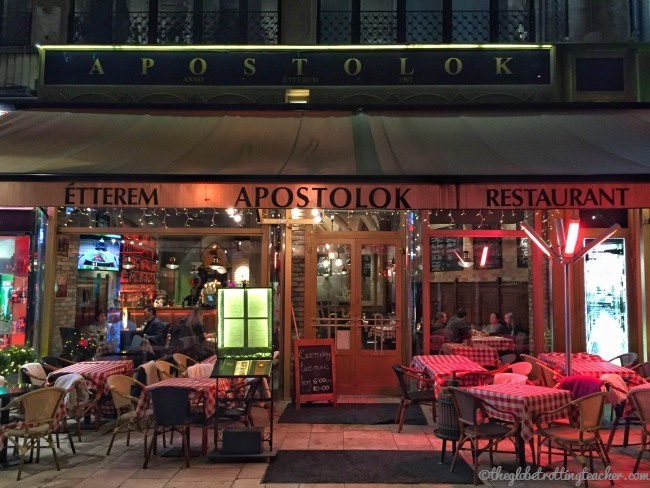 Have dinner at Apostolok. It’s a mix of tourists and locals and the food was delicious, the staff friendly, and had a live band playing music. The area in and around the Ruins Bars is an up and coming trendy area of Budapest. You’ll find cuisine that ranges from traditional Hungarian to tacos to Kosher vegetarian. Staying along the Danube or within a 5-10 minute walk to the river will give you the best access to the sights you’ll want to visit on both the Buda and Pest sides of the city. The #2 tram also runs along the river and is a quick and easy way to get from Parliament to the Great Market Hall. 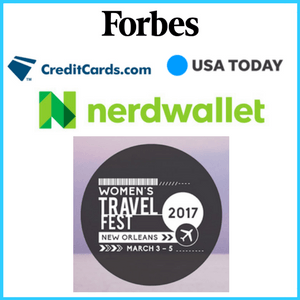 There are several well-situated properties if you’re hoping to use hotel points for award nights. IHG’s Intercontinental and the Budapest Marriott are along the Danube. Both hotels require 35k points per night. As of September 1st, 2016, Starwood’s Le Meridien Budapest is no longer in the Starwood collection of hotels. The hotel is now a Ritz Carlton. 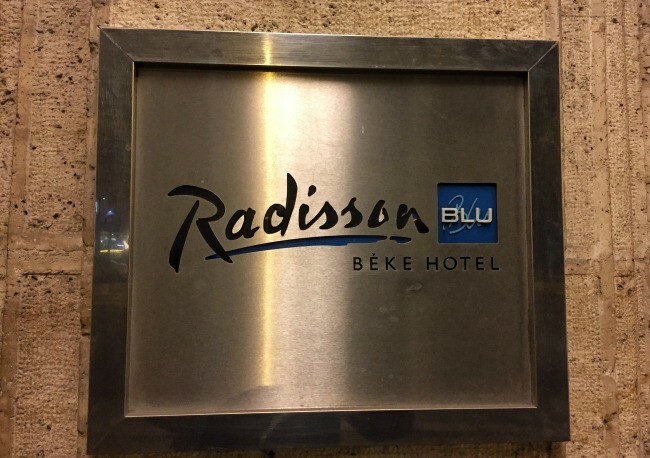 We stayed at Club Carlson’s Radisson Blu Beke Hotel. It was a 10-minute walk to Parliament. The hotel lobby was open and bright, the staff super helpful, and the rooms were comfortable, but needing some updating compared to other Radisson Blu Hotels we’d stayed in. With our hotel point strategy in mind, it made sense to use our Club Carlson points. Consider the Marriott, IHG, and Starwood properties if you want to stay right on or closer to the Danube River. Remember to check Hotel Hustle and AwardMapper for a full listing and map of Budapest hotels, which are part of loyalty programs. What have I missed? Have you been to Budapest? What do you recommend for first-timers? stunning Pictures of castle!! looks like an amazing place.lots of useful information you have shared. Appreciative Work. Hi Jackie! I went to Budapest a few years ago and loved it. You’re right once you visit it, you already make plans to visit it again. Went to a medieval restaurant and had great food there and also tried local desserts, sooo good! Can’t wait to visit again. So glad you wrote about Budapest. Hi, Melanie! I’m so happy to hear you went to Budapest and loved it! No doubt the food you had was delicious! I was actually excited to find there is a Hungarian food truck here in NYC. 🙂 Will definitely be heading back to Budapest! Budapest is one city I would really love to visit! Your photo of the rose is so evocative! Thanks, Carol. 🙂 You’re sure to love Budapest when you make it. Great sights, delicious food, and fascinating history. Budapest is stunning. I went there a couple of years ago for a few days. Although it was a work trip, I managed to use a good amount of time to explore the city. The views from the top of the hill are beautiful. Also did the Parliament tour and although it was a bit short, it was a great to see it from the inside. What an amazing building. I found the city great for walking as well. Budapest looks so gorgeous. I’m really going to try and finally make it there when I’m in Europe this fall. The Parliament building is stunning! It’s never a bad thing to have a reason to return somewhere, Lyn, especially a gorgeous city like Budapest! ? You’ve described it very well. Budapest is vibrant and there’s always something to do and see. We’ve enjoyed Gellert, the local food and the views all around this city too. Definitely worth a visit for a couple of days. Hmm, haven’t made it to Budapest yet but it looks gorgeous in your pretty pictures! 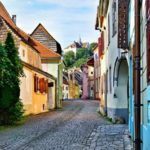 This guide is just what I need as I plan a trip around Central Europe. I can’t wait to visit some of the famous thermal baths! That is one heck of a packed itinerary and you’ve picked great things to do. My favourite are the baths – I’ve checked out just about every thermal bath in Budapest and never get tired of them. Concerts are another great activity in this musical city for sure. Excellent tips, Jackie. We visited Budapest last year and the city has so much to offer that it’s hard to decide what to fit in. Definitely agree about staying near the river. 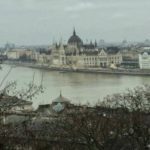 We stayed at the Budapest Marriott and were really happy with our decision. Thanks for linking to #TheWeeklyPostcard. The story behind the memorial is really painful. I’m glad there is something to remember them by, and reminds us never to do something like that again. I couldn’t agree more, Mar. The more you stand “in their shoes” the more the horror reveals itself to you. 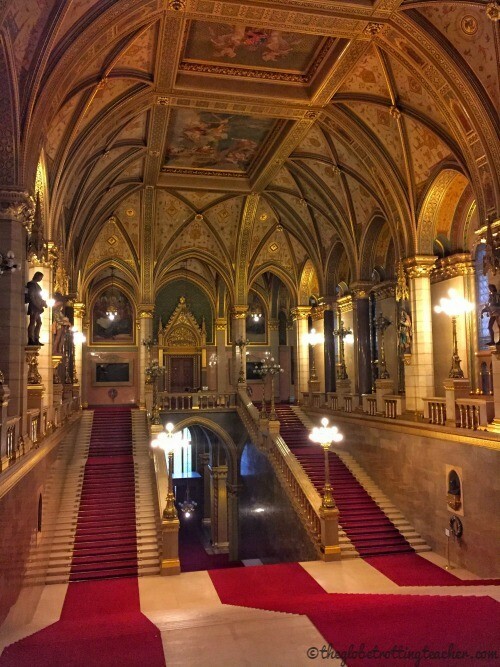 I love Budapest, Jackie, and your post is doing a lot of justice to the beautiful Hungarian capital. I like how you caught the essence of what to do and see in Budapest and also I like your pictures. Great post! Thanks, Anda! I’m in good company for sure. I just fell in love with Budapest. I’m thinking about making a trip to Prague, Vienna, and Budapest in July or August by myself. I love to just wander and take photographs. How safe do you think Budapest is for a 60 year old woman traveling alone? I’m a pretty seasoned traveler and use public transportation to get around, but I’ve always had a travel companion before. 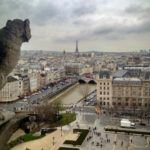 I’ve rented apartments in France and Italy, but haven’t been to the east. Thanks for reading, Robin. 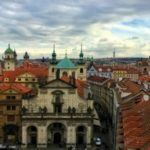 How fantastic to be planning a trip to Prague, Vienna, and Budapest! I took this exact trip in February and loved it! I found Budapest to be really safe. Even in February, there were plenty of people walking around and sightseeing. I took a free walking tour and the guide’s only warning was to beware of pickpockets. My advice would be to use common sense and keep your wits about you just as you would in any city. I would happily and comfortably return to Budapest on my own. With your traveling experience, too, you’ll really enjoy the city. It’s a true gem! Thanks. Your suggestions were very helpful. We particularly liked the House of Terrors, the museum about the unbelievable atrocities the Russians and the Naziis wreaked on the Hungarians. It’s depressing but well worth your time. The cathedral is beautiful and the city at night is not to be missed. And don’t miss the market! Thanks, Maureen. I’m glad you enjoyed your trip to Budapest! I missed the House of Terrors, so thanks for the tip. As a history buff, these museums are so interesting even if the content is hard to understand. Planning a trip for September! Do most places take the forint? I thought Hungary was in the EU thus would use euros? Hi Sandy, although some places take the Euro, prices are all in Forints. The exchange rate is better this way, too. It makes Budapest a very affordable European city to visit. Forints are easy to get once you arrive. 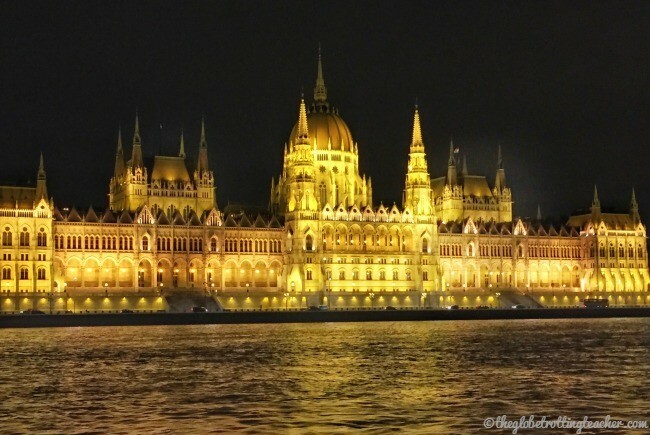 A friend and I are going to Budapest next month and would love to take an evening boat trip to see the Parliament building lit up. But I’ve read that the boats don’t start running until April Do you know if this is true? Your photos are lovely and we can’t wait to visit. Thanks for reading. From my experience, this is not true. I was there in February and took a night boat ride. It was cold but gorgeous. An absolute must while in Budapest. 🙂 Happy travels! That’s a really great cheat sheet, It seems to us you know our beloved city as well. Thank you for coming and sharing your deep experiences. You are always welcome back. And great pics, btw. We were lucky to see the Christmas markets as well.